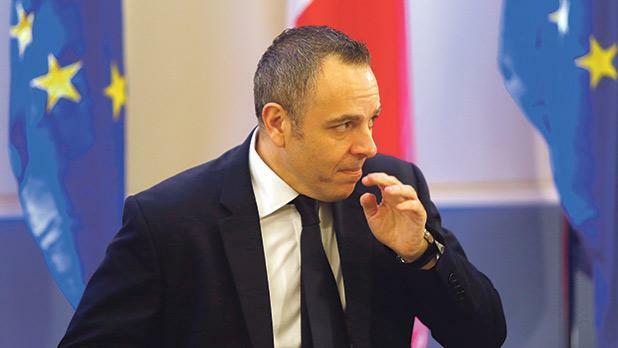 The Nationalist Party will be voting in favour of a motion of no confidence in the prime minister's chief of staff, Keith Schembri. Independent MP Marlene Farrugia tabled the motion this evening in parliament. In a statement, the PN said that Mr Schembri's position was untenable. Earlier this month Dr Farrugia had moved a no confidence motion in minister Konrad Mizzi, which was subsequently debated and defeated. Dr Farrugia said she her motion against Mr Schembri would be "on behalf of all Maltese and Gozitans of goodwill'. The motion stems from Mr Schembri's involvement in the setting up of secret companies abroad. PN: DOES THE PRIME MINISTER STILL HAVE CONFIDENCE IN SCHEMBRI? In a statement, the Nationalist Party said the prime minister has still not commented on yesterday's revelations about Mr Schembri. On Friday he said he had confidence in him. Was that still the case? The Civil Society Network expressed its support for Dr Farrugia's motion. "Keith Schembri, as the prime minister's chief of staff, and Konrad Mizzi, as minister in the Prime Minister's Office have refused to resign despite the fact that they feature in the Panama Papers scandal. Prime Minister Joseph Muscat keeps defending them, and forced Labour members of parliament to vote in favour of Konrad Mizzi in the previous vote of no-confidence against him," the network said. "If Prime Minister Joseph Muscat truly loves his country and his party, he should allow the party whip to allow a free-vote among Labour MPs". "Civil Society Network appeals to all members of parliament to vote for Malta and therefore support Marlene Farrugia's vote of no confidence in Keith Schembri".